A complete standalone OBD solution for BMW & Mini Fxx series vehicles. This unique tool eliminates the need of the removal of the ECU from the vehicle as well as the execution of TPROT OFF in BSL before proceeding to work in OBD mode. All-inclusive sales price – no additional fees apply. Buy it now!Check the vehicle list! Are you a BMW Fxx owner? Would you like to have a cost-efficient solution to program or restore your own car? Subscribe to the MMS Newsletter to be updated when this solution is available. By means of this tool and an internet connection, it is now possible to VREAD and WRITE the calibration zone of the ECU directly through the OBD socket of almost every BMW & Mini Fxx series vehicle. This device allows you to perform modifications such as: chiptuning, catalytic converter removal, DPF Switch, EGR Switch and Speed Limiter to name a few. Vehicle warranty violations are no longer an issue. You can restore your ECU to factory settings at any time by simply rewriting the ORI file. This solution offers you access to the files in binary format, so any tuner can prepare modifications with any edition of map editing software. No checksum correction is necessary. An optional CVN Fix solution is available. After using it, you can safely pay a visit to the dealer without warranty void issues. Our professional Tech Support Team always aims to exceed your expectations. They have the important task of resolving customer issues in a friendly and professional manner in the most efficient way possible. A video is worth 1.8 million words.. If you need coverage of not just BMW & Mini Fxx but also other brands of engine and gearbox controllers, please check out our special offer for our flagship product: MAGPro2 X17 tool. Keep ahead of the competition and add this revolutionary new solution to your workshop, click below to learn more about the MAGICMOTORSPORT range of tools that support the BMW Fxx OBD protocols. Can I really write MOD files directly by OBD without performing TPROT OFF in BSL mode? Yes, you can write your MOD file without previously removing the ECU. In the end, this will save you time and money considering the risk of unexpected ECU HW damage that is common in work in BSL mode. Do I need a special PC configuration? A standard laptop equipped with DualCore i3, 4GB RAM, Windows 8-10, one free RJ45 Ethernet port and one USB port is enough. 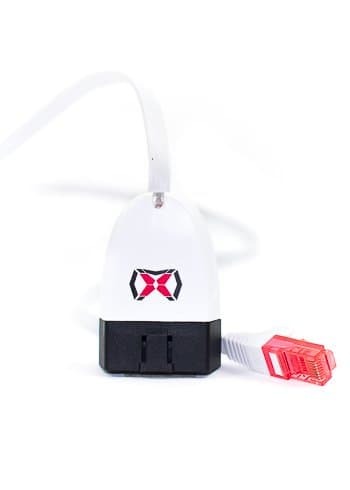 Do I need an internet connection to work with the tool? Yes, an internet connection is obligatory, most file operations are done on the server side. Please remember that the IP address of your PC must be dynamic and set by a DHCP server (it cannot be set to static IP). What about the car battery voltage? Should I use a recharger for it? YES. BMW vehicles absorb up to 80A when the ignition is ON. To work safely, it's strongly recommended to use a profesional battery charger the supplies at least a 50A continuous current. Do you have all software versions? What if you do not have the ORI in your server? We have almost all updated versions of ECU SW for the supported vehicles. The only case in which the ORI is missing, is in the case of the older vehicles (2010-2012) that have never been updated in the BMW Service. In this case you should perform a car software update in the BMW Service or by ISTA/P and all will work fine. Can I use this tool on just one vehicle? No. This is a tool for professional tuners. You can use it on as many vehicles as you need. Does this tool need to be used together with the MAGPro2 X17 tool? No. This is a standalone tool. 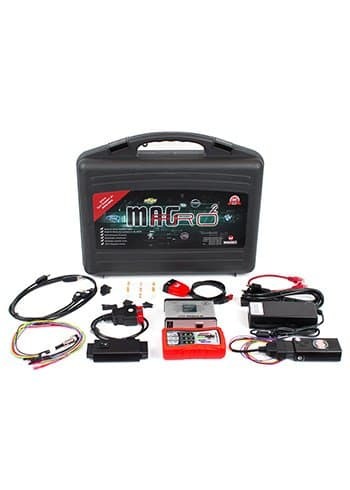 We are offering MAGPro2 X17 owners a BMW Fxx OBD cable to be used with MAGPro2 X17. BMW & Mini engine controllers (especially MEVD17) can be damaged very easily during opening procedures for access in bootloader mode. The BMW Fxx OBD FLASHER will save you time and money and this scenario will become a distant memory in your workshop. Operations by OBD socket take approx. 12 min from the moment the mechatronic connects to the car until he finishes writing the MOD. Work in BSL mode on MEVD17.x takes more than 2 hours from the moment the ECU is removed from the car, opened, read and written on the bench and reinstalled into the vehicle. Ultimately, your Engine controller will still have signs of mechanical manipulations. Contact the MMS Team now to pre-order your kit here or through our chat online(mms.center/chat) or our online shop.